Managers and field personnel can use a smartphone or tablet to create a virtual office. Just take a picture of a field service issue and store it to reference later. TeamConnect stamps your photos with time, date, GPS location, and voice description if necessary. You can use TeamConnect for proof of a pre-existing condition, performance, vehicle damage, and blocked service areas. 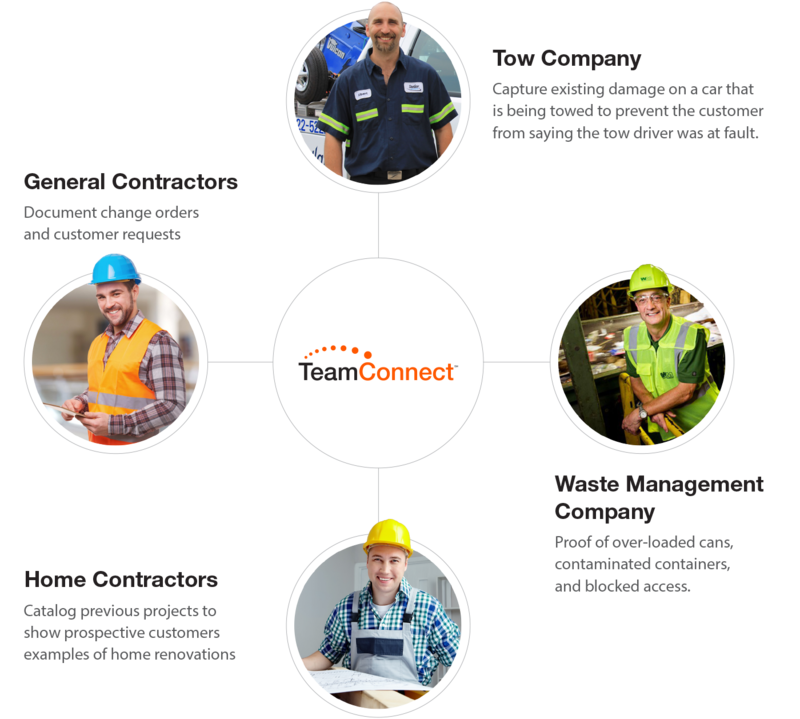 TeamConnect allows you to capture pictures with the relevant information you need in order to improve customer service and reduce time spent on administrative duties. Real examples of how you can use TeamConnect!